These are conditions for unlocking "Humanitarian" achievement: BTW: The sleeping dude is an oversight, he should be there only in memory of Oreokastro scenario. I'll remove him. Thanks for the feedback, I'm glad you liked the campaign. The campaign is supposed to finish once all mines are unlocked, but it seems something went wrong. Do you think you could upload your savegame, so I could investigate it? The savegame file is on one of the following locations, I'd ask you to share the whole Campaign folder. <Documents>\Arma 3\Saved\A3\Missions_F_Orange\Campaign <Documents>\Arma 3 - Other Profiles\<ProfileName>\Saved\A3\Missions_F_Orange\Campaign If anyone else encountered the issue with campaign not ending or with memory achievement being unlocked early, could you please share you savegames as well? Then something seems to be wrong, because there should be memories in total. 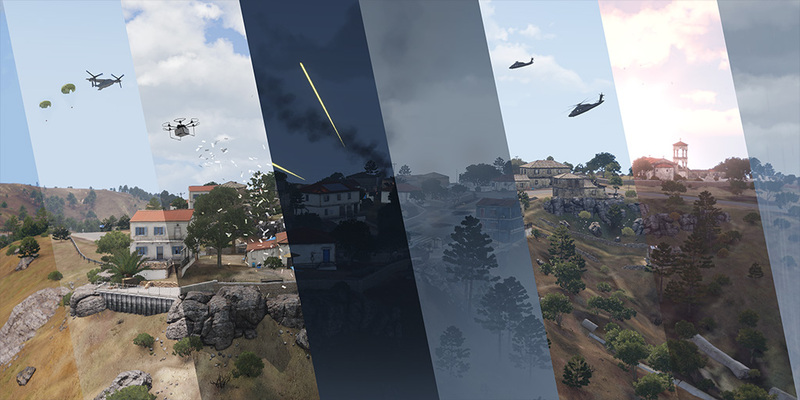 Could you please upload your campaign save (Documents\Arma 3 - Other Profiles\<YourName>\Saved\A3\Missions_F_Orange\Campaign\campaign.sqc), or alternatively send a screenshot with the list of all fragments in the diary? You can leave the memory anytime by pressing 'U' (or whichever key you have assigned to team switch). There should be a hint informing you about it. Just in case, I just tweaked it so the hint won't fade out until you press they key, should be available in the next dev build update. The sensitive one gets triggered by any movement (e.g., rabbits), but also by nearby explosions. Think twice before throwing grenades in areas with UXOs. Apex NVGs are equipped only if you own Apex, otherwise default NVGs are used. They have the same functionality, so it's purely cosmetic change. If it's built in Eden, that means it's then marked as editable by Zeus using addCuratorEditableObjects. Not making it editable would have the same result as objects being simple. Or am I missing something? How was the composition placed? By Zeus, or was it prepared by mission designer and made editable? Thanks for report, I've added RscFrame, RscCheckbox and RscLine to the list. They will appear when you export both default and all parent classes using the function. Should be available in upcoming dev build update. That's not a bug. Not defining the name is a way to filter the music track from the list when selecting trigger or waypoints effects, and these are obsolete classs which are kept for backward compatibility. All of them should have a variant with newer class name (you can even see it on the screen, e.g., Underwater or Night Ambient are there twice). If you're author of the Eden radio (nice idea BTW), I suggest to hide all tracks without a name. And since the map is not in controls group, you need to position it in screen coordinates, not in local positions relative to group's left corner. Could be caused by the fact that maps cannot be in controls groups. Engine treats them a bit differently because of how complex they are.